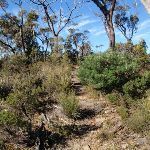 Turn left: From the intersection, the walk heads west, off the management trail and through the bush. 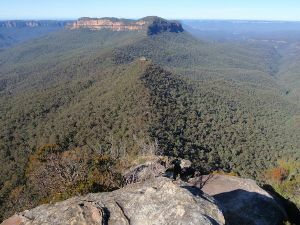 The track steadily climbs up a hill until coming to an intersection with another track (linking the northern and southern Castle Head tracks). 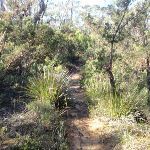 Turn left: From the intersection, the walk heads south-east through the bush, where it climbs over a small hill then meets an intersection of the southern Castle Head track. 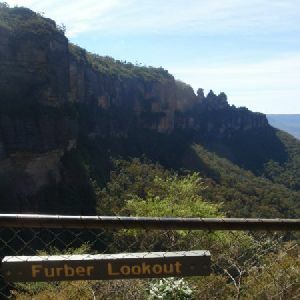 Veer left: From the intersection, the walk heads east for a short distance, then turns towards the south nearer the cliffs, continuing along the bush track which runs parallel to the edge of the cliffs. 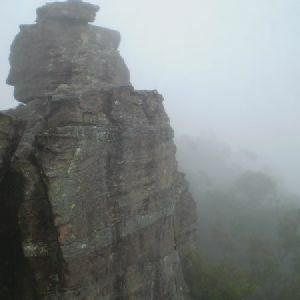 A little while after, the track climbs steadily to the top of the ridge then proceeds down to the first abseil and lookout point of Castle Head. 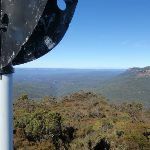 Castle Head has an old trig station and sits on a point on the eastern side of Narrow Neck plateau. 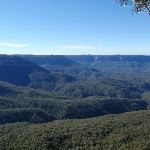 From this lookout there are great views across the Jamison Valley, and especially good view across the Ruined Castle to Mt Solitary. 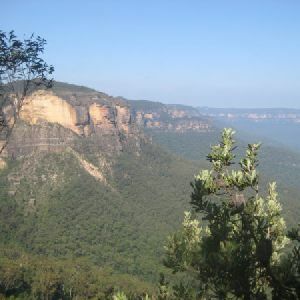 Around 1.3km of this walk has short steep hills, whilst the remaining 850m has gentle hills with occasional steps. 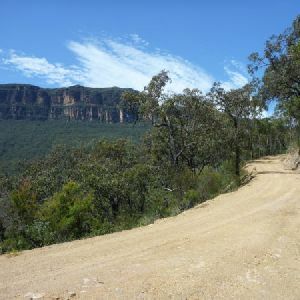 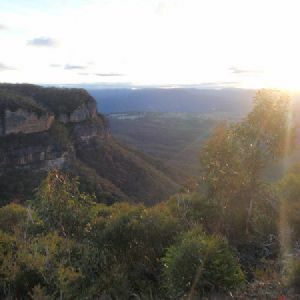 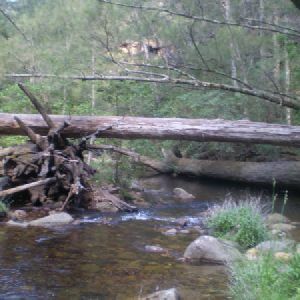 Around 1.3km of this walk follows a rough track, where fallen trees and other obstacles are likely, whilst the remaining 850m follows a clear and well formed track or trail. 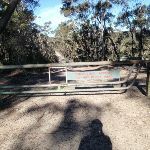 Around 1.3km of this walk has minimal directional signs, whilst the remaining 850m is clearly signposted. 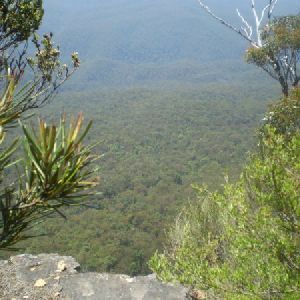 1.1km of this walk requires some bushwalking experience and another 850m requires no previous bushwalking experience. 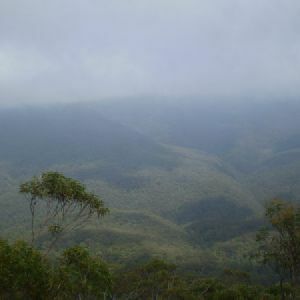 The remaining (180m) requires a leader a with moderate level of bushwalking experience. 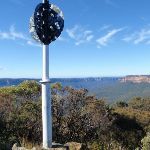 Around 1.3km of this walk is affected by storms that may impact your navigation and safety, whilst the remaining 850m is not usually affected by severe weather events (that would unexpectedly impact safety and navigation). 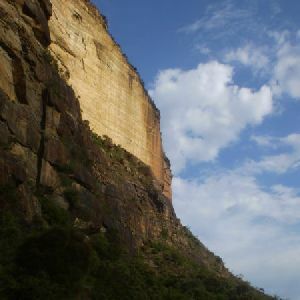 1.1km of this walk has limited facilities (such as not all cliffs fenced) and another 850m is close to useful facilities (such as fenced cliffs and seats). 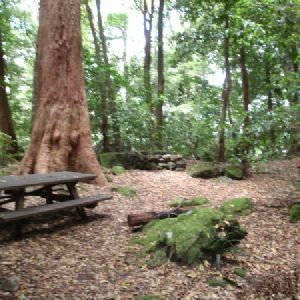 The remaining (180m) has limited facilities (such as cliffs not fenced, significant creeks not bridged). 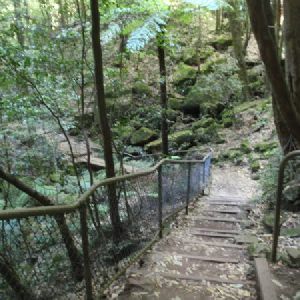 A list of walks that share part of the track with the Narrow Neck to Castle Head walk. 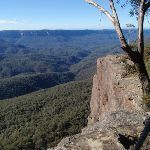 A list of walks that start near the Narrow Neck to Castle Head walk. 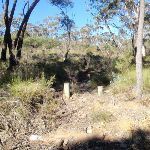 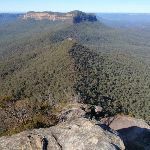 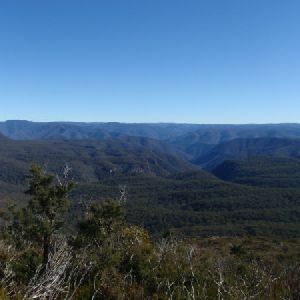 http://new.wildwalks.com/wildwalks_custom/includes/walk_fire_danger.php?walkid=nsw-bmnp-nntch Each park may have its own fire ban, this rating is only valid for today and is based on information from the RFS Please check the RFS Website for more information.